Hello. My name is Julie Murphy. I’m the librarian for physics, chemistry, geology, geography, mathematics, information technology, and general science. If you have any questions, please contact me. Techniques for finding subject specific sources such books, articles, etc. Conducting research is an iterative process. 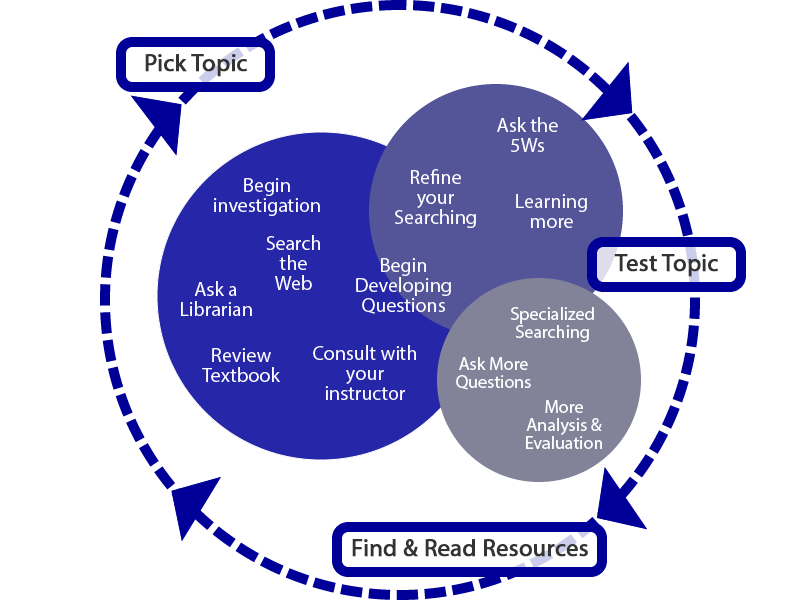 For more information about how to conduct research, consult the An Overview: The Research Process web guide. Criteria and examples of how to evaluate a source to determine relevance and credibility. A suite of short step-by-step videos showing you how to use the various resources available in Milner Library.